Panasonic has announced the new FZ1000 bridge camera which features a 20.1 megapixel 1-inch MOS sensor. Dpreview has posted a full in-depth review for the Panasonic FZ1000. The premium compact camera achieves a 82% and gets gold award from Dpreview. Details are as follows. They have covered almost everything in their review. Panasonic FZ1000 review includes body and design, control and menus, handling, performance and features explained, video and still image quality and lots of sample images for the premium shooter. See their conclusion below. For those looking for a superzoom camera that excels at both photo and video quality, the Panasonic Lumix DMC-FZ1000 delivers. While it doesn’t have a constant maximum aperture of its biggest competitor – the Sony Cyber-shot DSC-RX10 – the FZ1000′s F2.8-4 lens covers a much greater 25-400mm equivalent range. The FZ1000 has an advantage over ILCs, as any lens you add to one of those cameras will be larger, heavier and pricier. See the Official Announcement | First Impressions | RX10 Comparison | Sample Images | RX10 Comparison | Additional Video Coverage of the new Panasonic FZ1000. 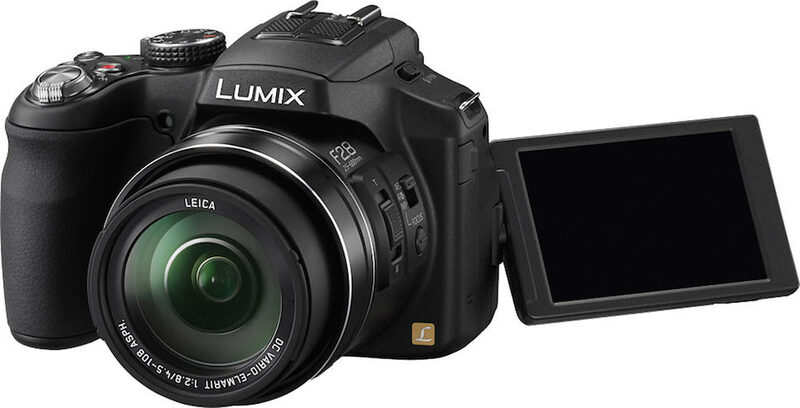 The Panasonic Lumix DMC-FZ1000 is available from the camera stores below with a price tag for $899. Panasonic FZ1000 features a super useful 25-400mm 16x optical zoom lens which has an F2.8-4.0 aperture range, 0.09 second auto-focusing speed, a 2,359k OLED Live View Finder (LVF) and a 3-inch 921-K dot LCD display.